Close to the northwest boundary of the province of Siena is the commune and medieval stronghold of San Gimignano. This small town has long been appreciated for its beautiful towers, but currently is acknowledged more as a tourist trap. In fact, a local pointed out to me that nobody actually lives in the town, and if you have been there, you’ll have noticed that almost every store caters to tourists. It is curious, therefore, that located within this mecca for Japanese bus tours is some of the best gelato in Tuscany—a truly unexpected delight. Directions: In the Main Piazza. There is always an exception to the rule. I generally recommend that you avoid any restaurant (or in this case a gelateria) located in a major piazza, and I double down on that statement when it comes to San Gimignano. However, in this case my advice would have been wrong. While even the name, Gelateria Di Piazza, reeks of a tourist trap, this gelateria owned by Sergio Dondoli makes sublime, creamy gelatos from all natural, fresh ingredients with amazing flavor. I tried the pistachio, chocolate, and hazelnut, all of which were superb. The pistachio was especially intense. They explained to me that it was made from fresh pistachios sourced directly from Sicily. Generally, I don’t have a sweet tooth and I don’t eat much ice cream, but in this case I will take two scoops. If you love gelato, you will be well-served to stop and taste Mr. Dondoli’s creations. They are all delectable! Directions: About 1 km outside the village of Fonterutoli, turn left onto a white country road following the sign for Caggiolo and Caggio. At the first crossroads is the sign for Cogno, which you will reach in about 1-1/2 km. Visits by appointment only. Marco Matteigni, the man behind Podere Cogno olive oil, is a salt of the earth kind of guy. I spent a morning discussing with him his olive oil, politics, and life—all before tasting the oil (which by the way is among the top olive oils in Tuscany). He is not the type to brag. He noted that olive oil is unlike wine, suggesting it is a simpler equation. 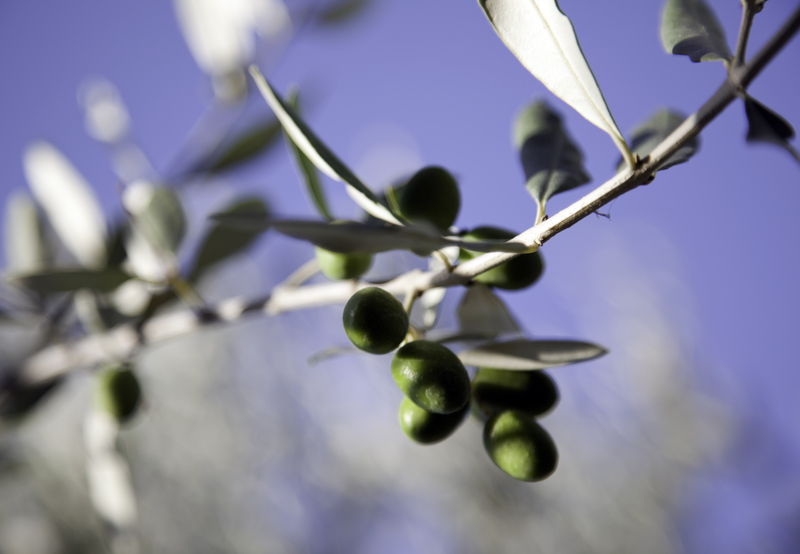 But if you consider the amount of olive oil produced in Italy, the quality of Podere Cogno is anything but the norm. The Cogno estate includes 12 hectares (2.4 acres per hectare) of organically farmed olive groves, growing Frantoio, Leccio, and Corratina olives. The extra virgin olive oil they produce is intensely green (almost emerald) and rich. Mr. Matteigni noted that the quality of his oil is a result of three factors: the quality of the olives, the picking/milling process (by hand, pressing the same day, keeping low temperature, and preventing oxidation), and careful storage and bottling. Mr. Matteigni told me that the intensity of fruit comes from picking the olives when a third of them remain green. He further noted the importance of a modern frantoio (olive press). His new press utilizes both nitrogen to protect the crushed olives from oxidation, and blades to macerate the olives, eliciting better extraction of chlorophyll — resulting in the intense green color. Mr. Matteigni also added that he gently filters his oil, a more debatable practice. His reasoning is that whatever backlash could potentially occur from filtering is far outweighed by the stability and longer shelf life of the oil. In the past he found the chemistry of his non-filtered oils changed in only a few months. In a year they lost a drastic amount of color and intensity. The proof of the pudding is in the tasting—his olive oil is intense, fruity with a rich texture, and has a slightly bitter aftertaste. Exceptional.